Abode lets you self-monitor your system with a mobile app for free—rare in the security industry. Plus, it doesn’t require contracts and comes with lots of smart home integration. Downsides are limited customer service and lack of an outdoor camera. Our favorite thing about Abode is that you can monitor your equipment for free with a mobile app. Most other companies make you pay for a monthly plan before giving you the option to monitor your system remotely. So we think this is kind of a big deal. We also love that Abode is compatible with a huge variety of smart home equipment—including both Zigbee and Z-Wave devices. Abode’s biggest drawbacks are limited customer service support and no outdoor camera. We’ll get into more details about Abode’s upsides and shortcomings below, but overall we think Abode’s a good option if you’d like a contract-free system you can monitor yourself. *Note: The Connect plan doesn’t automatically include professional monitoring. The monthly fee is for cellular backup and extra data storage. Like we mentioned, Abode’s pricing structure is different from most security companies’. Instead of charging by month, you can pay for as few as three days. If professional monitoring isn’t in your budget, you can monitor your security system on your own through Abode’s mobile app. You can do this with the Basic plan, which is free, or the Connect plan at $10 per month. The Connect plan includes cellular backup and 14 days of data storage. Abode’s starter kit costs $279, which is comparable to kits from brands like Nest, Scout, and SimpliSafe. We love that Abode lets you turn monitoring on and off for a few days at a time, making it particularly appealing if you’re on a budget but want professional monitoring while you’re gone for a weekend business trip or short vacation. There are other contract-free options out there, but we haven’t found any other security companies that let you pay for such a short period of monitoring. There are other contract-free options out there, but we haven’t found any other security companies that let you pay for such a short period of monitoring. Most companies don’t let you monitor your home through an app unless you sign up for their higher-tier monitoring plans. But Abode lets you monitor your security equipment through the app for free. This makes Abode much more practical if you can’t afford professional monitoring because you can still check on your home while you’re away even if you aren’t there to hear a siren go off. Abode also recently introduced a platform called Cue that helps you build your own custom automations for specific situations; there are dozens of applications whether you want to automatically lower the temperature after sunset or turn on the lights when you unlock your front door. 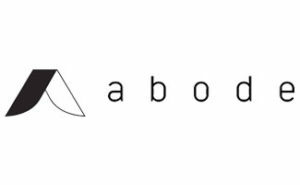 Abode doesn’t offer an outdoor camera—a major drawback in our book. But aside from that, Abode has a decent selection of equipment that includes two types of glass break sensors, multiple kinds of door sensors, water leak sensors, and indoor cameras. You’ll need to install your Abode security equipment on your own, but most customers report that it’s very easy. If you do have questions Abode has step-by-step instructions online. Abode’s equipment is simple and modern. We wouldn’t quite go as far as calling it stylish, but it’s definitely not an eyesore. It should blend in well in most homes. Unfortunately, Abode’s equipment warranty is only one year. Most competitors offer at least a three-year warranty. Customer service availability is where Abode really falls short. People have a lot of positive things to say about their actual experiences with Abode’s customer service reps, but it can be hard to get ahold of an agent since availability is limited. Abode does offer 24/7 email support, but if you want to talk to someone over the phone you may have more difficulty. Phone customer service is available Monday through Saturday from 9 a.m.–6 p.m. PST. However, phone support isn’t even available to customers who aren’t on a monthly plan. Abode doesn’t require you to sign any contracts, so you never have to worry about paying cancellation fees if you no longer need monitoring. Abode is relatively new, so there aren’t tons of reviews, but we were impressed by how many of the reviews were positive. * Happy customers mention the easy setup and home automation support. They also like the ability to monitor their systems on their own. Critical reviews mention difficulty reaching customer service. They also have complaints about camera quality and the mobile app’s interface. There’s so much to love about Abode—easy installation, wide range of home automation integration, no contracts. It’s a strong option for anyone who wants to monitor their own security equipment without paying for constant professional support. Our biggest hang-ups about Abode are the limited customer support and lack of outdoor camera. If you’re looking for a self-monitored security system, check out Abode to explore your options. If you need a system with more customer support and better video security, read our post about the best home security systems.